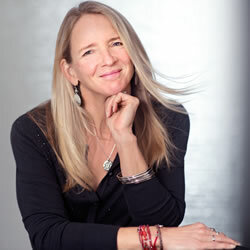 Today’s conversation is with Michele Clarke-Mason. As the nutritionist for the Seattle Seahawks, Michele has been called their secret weapon. She’s the one giving them nutritional guidance to help them perform better on the field and recover more quickly off the field. I’m going to first admit I’m not a huge team sports fan, except when the Seahawks are in the playoffs, of course. So my interest in speaking with Michele wasn’t from a football perspective per se. But there were a couple of things that intrigued me about her and her position that I did want to explore. First, it was from an athletic perspective and how she works with elite athletes to get them to eat healthier and also help them to recover from what is a high impact sport. Second, I was really curious how she navigates being one of only a handful of women in a mostly male organization. I mean can you imagine being in a building of 140 men, probably super macho men, and having to oversee what they put on their plate? Despite my lack of knowledge and, maybe, enthusiasm for football, I was still really fascinated to get a peek behind the scenes of the Seahawks organization and the NFL as it relates to nutrition, supplements, sexism and just generally her take on helping them perform better. I think one of the really interesting things that she touches upon is that in many cases there is little data to support some outcomes, let’s just say in terms of something like recovery, yet the anecdotal evidence is enough that she can make recommendations and see improvement. We also talk about intermittent fasting, her favorite cheat foods AND she takes questions from listeners about what not to eat, alternative programs that the Seahawks may or may not follow, saturated fat and how to avoid arthritis. Please enjoy this conversation with Seattle Seahawks Nutritionist, Michele Clarke-Mason. I’d love to hear your feedback! Send me a note at [email protected] and let me know what you think. You can also leave voice feedback or ask a question by calling 877-280-5170. I’d love to grow our community by featuring you and your questions on future episodes. If you’ve got suggestions for future guests, I’m all ears. I’m going to be on Kauai and also in NYC later this month (and probably the Bay Area, LA and Portland soon) so if you have any suggestions, you can fill out a guest submission form on the Be Bold podcast website.